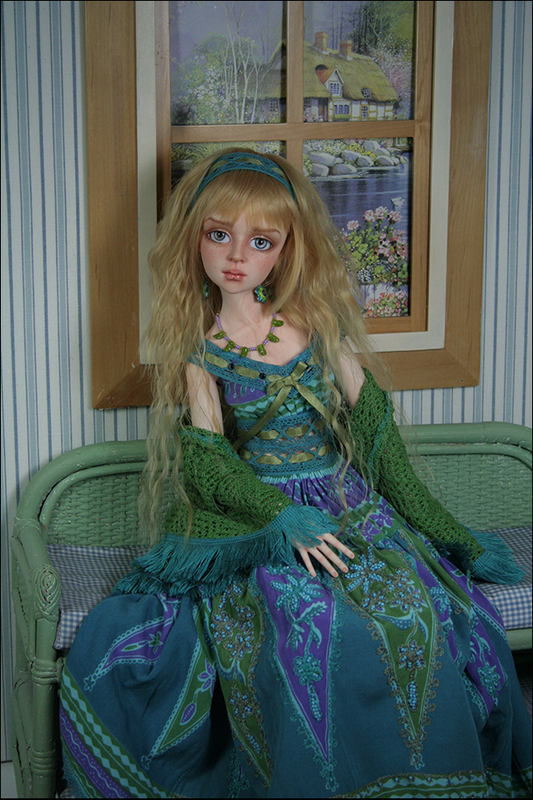 This doll will be for sale Saturday - May 3 at 3:00 pm EST. 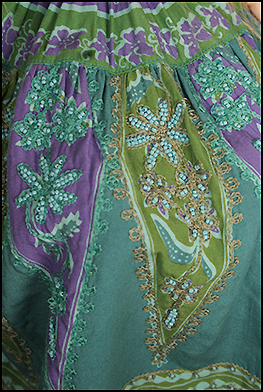 Tessa's dress is rayon with beadwork on the front panel. The waitband, neckline and hair band is cotton lace with a ribbon woven through it and embellished with Swarovski crystals. 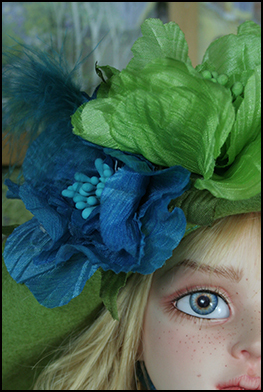 Her hat is wool felt with silk flowers and one small feather. 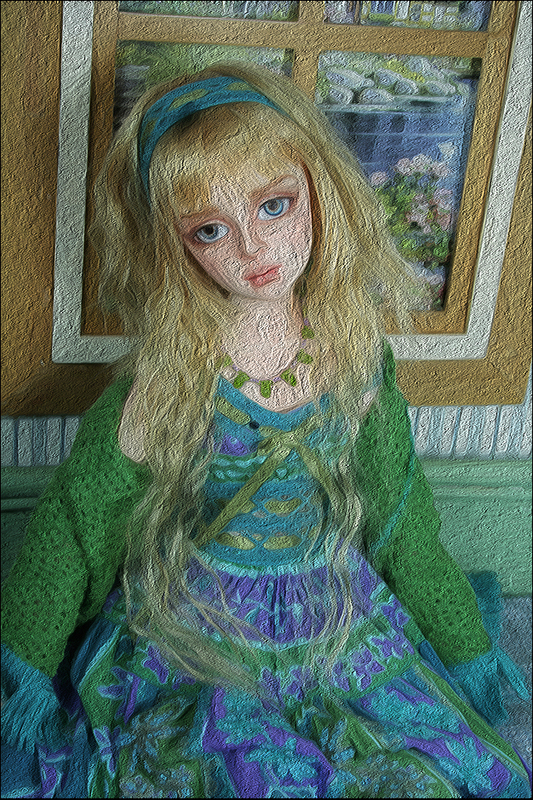 She wears enamel earings and a glass bead necklace. 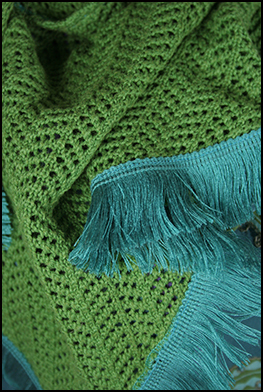 Her cozy shawl is cotton knit with fringe. 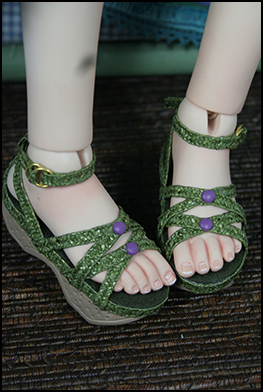 She also wears frilly undies.